For workshop and home use. 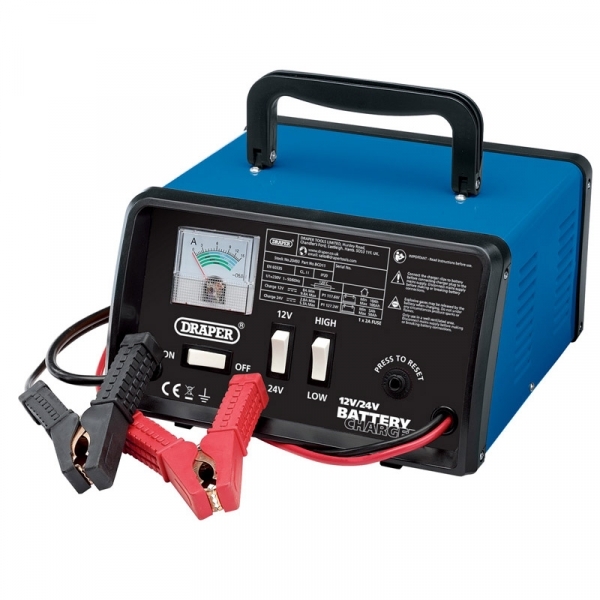 Suitable for conventional lead acid batteries up to 50Ah (24V) or 100Ah (12V). Integral carrying handle, insulated copper leads and battery clips. Display carton.